Our performances (of music, drama, dance and everything between) are a fun way to see what our Screech Arts students have been working on in their workshops and classes. Anywhere Festival is an annual Brisbane based theatre/performance festival held anywhere but traditional theatre spaces since 2011. In 2019 Screech Arts will present, “Charlie”. Through Charlie, Screech Arts aims to create an immersive world where play is celebrated and encouraged. WHERE: Campbell Place at University of Queensland, St Lucia Campus. 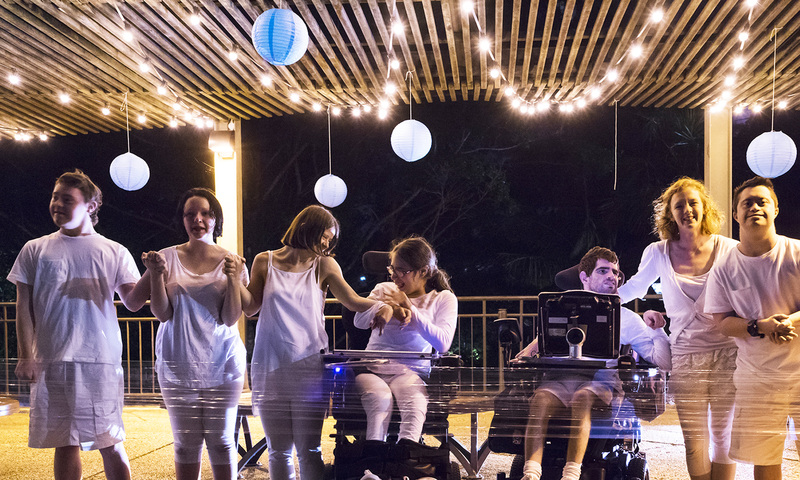 Dance Unlimited is a trailblazing program created to help young people with disability move, shimmy and boogie down while building mobility skills and self-assurance through dance. Through these classes you will experience a range of engaging activities, focused on gross motor skills and balance, motor planning and coordination, group and social skills and some funky moves that’ll be sure to impress! To enrol in a class or to find our more about Screech Arts, fill in our contact form or call 1800 275 753.